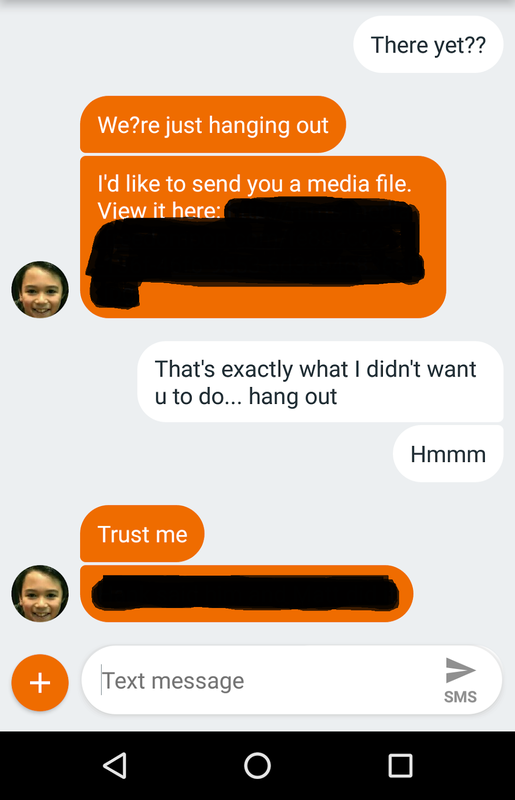 My 10-year-old has been getting into the habit of uttering these two words to me lately: Trust me. Whenever he wants to do something that he knows I'm predisposed to disagree with, he will say those words with his serious, assuring tone. Trust me. "Noah, why don't you do your Reading homework now so that you can sleep early tonight?" He'd say something like, "Don't worry, Mama. I just need to finish this round for now (a video game) and can still do all that before bedtime. Trust me." Or anytime he senses I'm nervous about him being out, or him doing something that falls under my 'dangerous' category (which is most likely not really dangerous), he'd say those words. Trust me. Yesterday, he insisted on walking to school with his best friend. 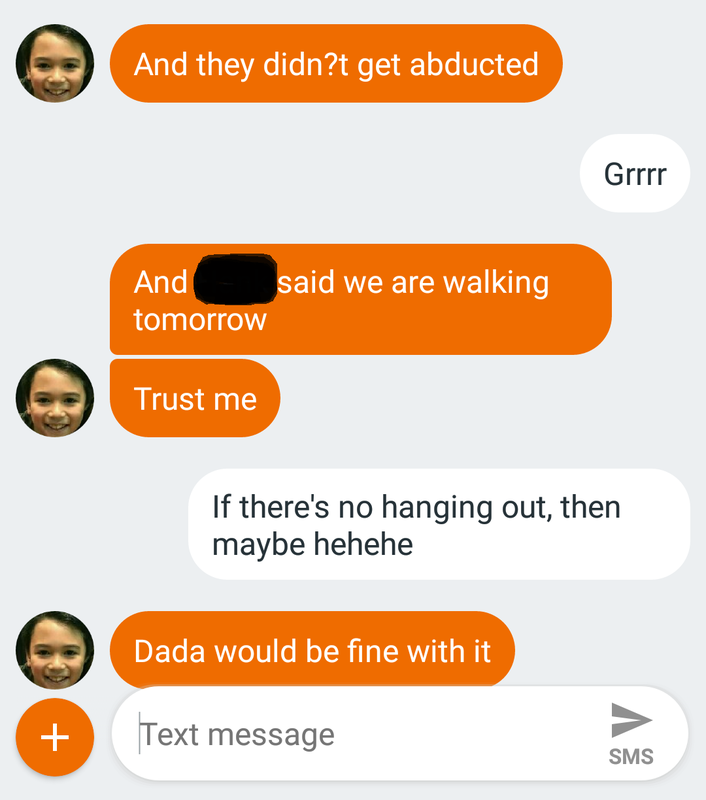 Since best friend lives about half a mile away, we compromised and agreed I'd drop him off at his friend's house and from there, they could walk to school together. Then the list of reminders: don't be oblivious, keep walking, and then send me a short text message as soon as you get to school. I laughed with the 'they didn't get abducted' bit, as he justified how his two friends used to hang out exactly at that spot where they were, of course further illustrating my son's familiarity with my paranoia. Did you notice how he said 'trust me' twice during our exchange? Trusting someone, if you think about it, translates to mainly two things: trusting that the person is 'able' (trusting in his abilities), and trusting that person's judgment or nature. The ability component can further be broken down into two aspects. To trust someone is to trust that they know what they're doing and that they'll know what to do when something goes wrong, or that they can cope with the situation or mitigate a problem. The nature or judgment component of trusting someone is about trusting that they won't do anything bad or that you can trust their moral compass or their capacity for discernment. Trust, as we all know, is built or earned. It's not something randomly deserved or haphazardly granted. If that is the case, there is only one way for anyone to know if someone can be trusted and that is by giving it slowly. You have to let go little by little in order to see if someone is worthy of your trust. You can't be like a job opening to new graduates requiring prior job experience in the field. If no one is willing to hire a newbie, how can said newbie ever get the experience required by everyone else? How can someone show they can be trusted if they've never been let go before; if they've never been allowed to be in situations to prove their trustworthiness? It's never easy for parents to let go of their children. And we can't say it's not them we don't trust, but everyone else around them. That's a crappy excuse because it still points to you not trusting your child's ability and discernment to deal with others. There really isn't any excuse. It's either you are willing to let go and trust, or you're not. My son is 10. I am realizing more and more each day that I have no other choice than to keep extending the leash and loosen the reins. Objectively speaking, he has given no prior indication of being irresponsible, undisciplined, and reckless. I know he can be trusted. I'm just not sure if I can trust myself as all this unfolds. Would I be able to calm my fears and honor this inevitable process? Will my heart be strong enough to let go? I think that is the real crux of the matter. Trust is a two way street. I trust others until they give me a reason otherwise. Watching Your Baby Grow: Excitement or Fear?